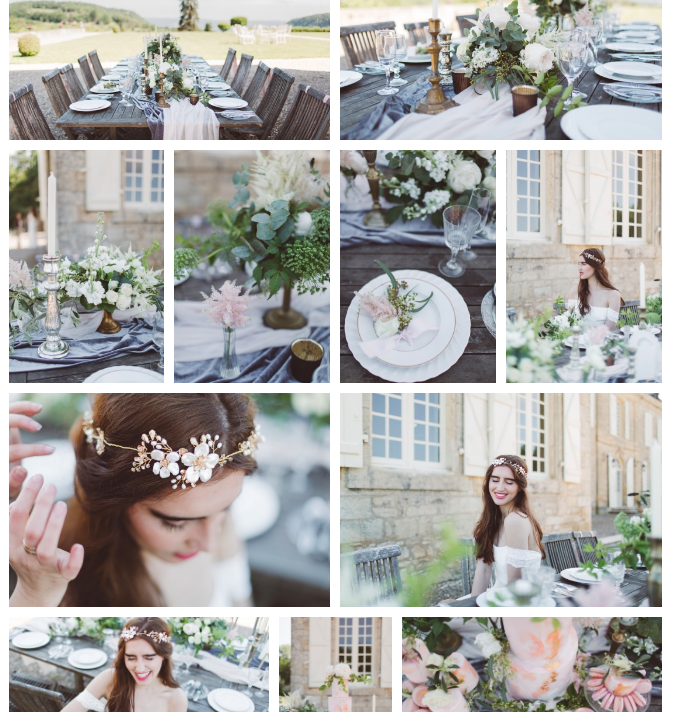 We're delighted to feature in this stunning French Wedding inspired Shoot with Love My Dress. Photography Mathilde Dufraisse. Styling Simply Perigord Weddings. Venue Le Jardin La Francaise. Hair and Make Up Julia Marty. Florist and Decor Jenny Moss. Stationary Cutture. Gowns Pronovias and Charlie Brear/a>. Hair Accessories and Jewellery Hermione Harbutt. Desert Table Little Button bakery. Silk Ribbons Pom Pom Blossom. Table Linens Magpie Linens/a>. Table Scape The Wedding of my Dreamsa>.